What a lovely weekend that was! 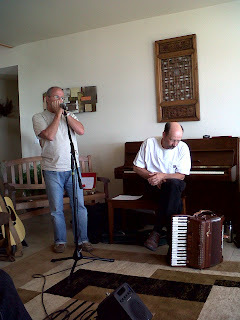 It was kicked off with a great concert at the MUSE Winery, with Jeff Taylor and Buddy Greene performing. I had met Jeff Taylor during my road trip recently, and as I passed through and paid a visit to Nashville TN my good friend Bob invited my boyfriend and I out to the Station Inn to see The Time Jumpers play. That same night at The Time Jumpers, Bob had discovered for us that there was a couple sitting near our table that was from Vancouver Island! Amazing to me since during the whole time I was at Disney I NEVER met anyone, in passing, from this corner of the planet AND no one had heard of it either. We learned that they were having Jeff and Buddy up there for a weekend of concerts, and that time finally came. Saturday morning, the lovely couple - Laura and Bert, hosted a workshop, by Jeff and Buddy, in their beautiful home. With about 20 musicians in the room, we learned more about both Jeff and Buddy's background, their history with music, and how their careers came to be. We then went through the Nashville number system, learned about what goes in a recording session in Nashville, heard some great stories, the importance of having good time/ playing with taste/ and how a song should 'be better than silence'. 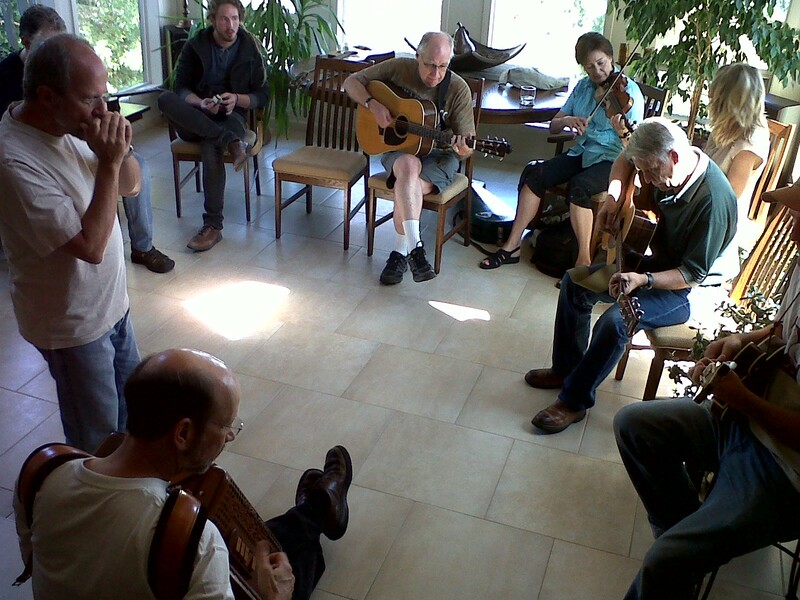 After that we all had a great time jamming together. Two coffees, and a sudden bag of nerves later, I played messily through a gypsy song that I love, but everyone was gracious with me - and I think they enjoyed the brief departure from the bluegrass tunes we had been playing. Towards the end of my time at the workshop I learned that both Jeff and Buddy have been on Disney recordings. I'm not sure which ones exactly, but this tickled me to know that I may very well have heard Jeff and Buddy many times before my time with Disney, as well as when I was there.